Building up a good credit rating when self-employed isn’t the easiest of tasks – by definition, self-employment isn’t perceived as secure as regular employment, and work can either be feast or famine (though there are some good ways to minimize this). However, if you want to borrow money, you’ll definitely need to make sure you have a good credit rating – otherwise you could find your business and your day-to-day life hitting serious obstacles. So how do credit ratings work, what can you do to make sure yours is good, and how should you actually apply for credit? Let’s have a look below! Your credit rating is really important, because banks and other lenders use it to decide whether you’re worth the risk of lending money to. It can even affect whether you’re able to rent an apartment. The better your rating, the more likely you are to get what you are looking for at a good, low interest rate. Your rating translates into a number (your credit score) that is used to rank your credit risk. The higher the number, the lower risk you are. While different lenders have their own ways of rating credit scores, 700 and above (on a scale of 300 to 850) is generally considered good. The US government has a handy guide to credit reports and scores, and Equifax, Experian, and TransUnion will all provide one free credit report per year on request (which is Federal law). So, if you space them out, you can get a free credit report every four months. Now we’ve established what a credit rating is, it’s important to understand what affects it, because there are various issues that can seriously impact your credit score. Your credit rating is based on a number of variables. Two big ones are your payment history (i.e. whether you’ve paid your bills on time, or defaulted on previous loans and bills), and the amounts you owe (i.e. whether you are near your credit limit). There are also various other factors such as the type of credit or loans you have – for example, bank loans are seen as better than high-interest store or catalogue loans. Naturally, if you have any court judgments against you, filed for bankruptcy, or suffered any form of insolvency, these issues can have a huge impact. The length of your credit history is another factor – if you’ve got a good payment record dating back a long time, that’s helpful. However, mistakes can creep into ratings. You shouldn’t be impacted by the debt of others, such as a parent or brother, but it’s worth reiterating that it’s a really good idea to check your credit score regularly. The first thing you need to do, as Experian wisely counsels, is to set yourself a budget and live within it. If you’ve paid your bills (such as rent and electricity) on time for the past two to three years, this will help your credit rating. It’s also considered important to have some credit in order to develop a good credit history. However, make sure your balance stays well below your credit limit, and pay your card off each month. 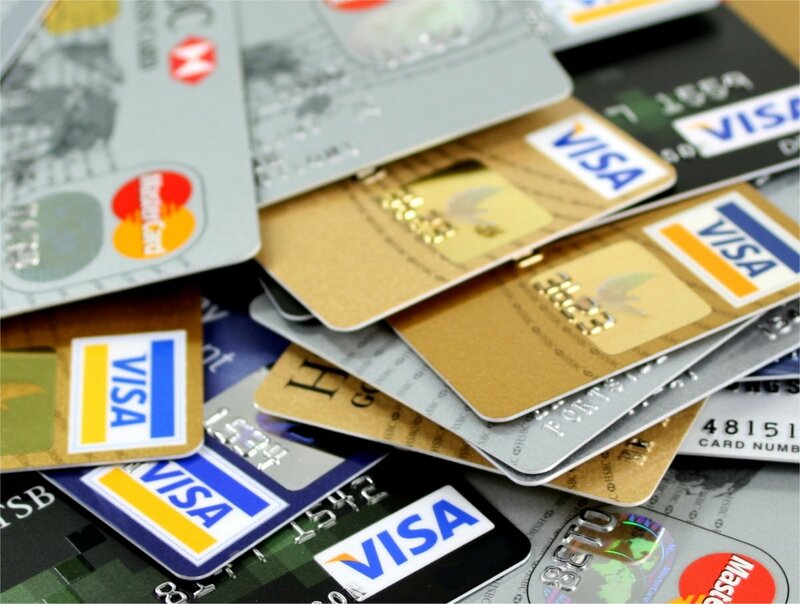 Also, don’t apply for several cards at once, because potential lenders might see it as a red flag – each application will leave a ‘footprint’ that affects your credit score. One thing that’s important but hard to achieve when self-employed is to demonstrate stability – i.e. you have regular incoming funds and you’re living within your means. To get around the irregular income issue, create a ‘rainy day fund’ when times are good to act as a cushion during quieter months. Also, make sure you always put aside money for your taxes as income arrives, and don’t use it for any other purpose. In addition, if you own a house or apartment it’s a bonus (if you are seeking a secured loan, it will often be against your property). However, be warned that your home could be at risk if you begin defaulting! Yes, it’s all very well saying to use credit, but what about those of you who get the urge to spend the moment the credit card touches your hand? MoneySavingExpert provides some cautionary advice – unplanned spending can lead to a debt mountain, and that would have a huge impact not only on yourself, but those around you too. As such, one late payment on a credit card can drop your credit score dramatically. A budget planner can help you to get a grip on your spending, and let you know what you can afford to spend. A good piece of advice is to ensure your finances lead your lifestyle, rather than the other way round. Work out what you can spend on different areas of your life and create little ‘pots’ – which can even be separate bank accounts – including a main account, one for major purchases, and one for bills. You could also open a Christmas, birthday, or holiday account, set an annual target sum you want to spend, and divide it into monthly portions that you then squirrel away. Ultimately, only put on a credit card what you can pay off at the end of the month. If you’re really struggling, consider debt counselling as a way forward. One benefit of working on a good credit rating is that when you really need a loan (such as a mortgage), you’re likely to get it. However, gaining approval for a loan is never an easy process, and lenders are far stricter nowadays than they used to be when it comes to approving funds. Firstly, you should make sure your credit score is good (following the advice we’ve given throughout this piece), then check you have everything you need in terms of documentation for the application (the form itself will tell you what an individual lender requires). Also check the Representative APR carefully. This is the interest rate (including fees), that a lender uses on loans taken out by at least 51% of their customers. Some lenders will be happy to lend you money, but at an outrageous interest rate. Bankrate has a loan comparison calculator that can help you find the best deal on a mortgage, and interest.com looks at a range of different loan rates. Finally, providers of large goods (such as cars or furniture) will routinely offer to arrange loans themselves, but the interest rates may be high. The Money Advice Service provides useful guidance on a range of similar finance options – it’s UK based but still good, practical advice. Making sure your credit score is decent when you’re self-employed isn’t impossible. All you need is to make sure your finances are in good order, and that you work hard on the things you can control (like your spending habits). You can then make sure that when you do come to apply for a loan, everything goes smoothly. Understand what your credit rating is, and how it affects loan interest rates. Steer clear of any action that could negatively affect your credit rating. Create a positive credit history. Curb your credit card spending. Check the APR when applying for a loan, and be careful about taking out store credit. Have you ever struggled with your credit rating? Tell us about your experiences in the comments section below!